Wondering what does a polishing ball do and if it’s a good idea to get it done? If you are a professional bowler, then you must know that studies have found surface finishes to be a big determinant of how a bowling ball reacts when going down the alley. If you want to give your best performance, then it is important you always keep your bowling gear clean and tuned. Cleaning your bowling ball will not be difficult if you have access to the correct chemicals and cleaners, but tuning might require a little more effort. So, what does polishing a bowling ball do? All balls come with a specific factory finish which is also known as the “box finish”. While a lower grit number creates a more aggressive finish on the ball, it also creates more traction. Dull sanded balls tend to become rather glossy when the peaks wear down. On the other hand, if a ball is highly polished, then it becomes vulnerable to scratches in the track area after a while. This can lead to problems once you roll the ball down the alley. Just a ball cleaner will not be enough to maintain your excellent performance. You will have to treat your bowling balls with some extra love and care if you want them to come through for you. This is where polishing comes in. The right polish will restore the bowling ball to its best condition so that you can have a hassle-free experience. There are different kinds of gel polishes available in the market which you can use to make your bowling balls look as good as new. Some of them multitask as a ball cleaner which makes it very easy to use. You can use these formulae on polished bowling balls whenever you feel that it is losing its touch. This will help tune your performance according to your needs. You are also free to use the polish on sanded equipment if you find that the ball is reading the lane very early. This will help create more skid length and hence improve your overall game. Polished bowling balls that have a higher grit rating are also known to be more durable in general. They will have to be resurfaced less frequently because the profile tends to wear down much more slowly as a result of which they will last longer. You should be really careful about altering the surface of your bowling ball because it makes an enormous impact on your game. If you do not anticipate in from beforehand, you will be surprised during the game which is highly unwanted. In case you are in the middle of playing a tournament, you should check their rules to see whether they allow alteration of the bowling ball surface just to be on the safe side. After a bowling ball arrives at your home polished and new from the factory, it wears down based on the amount of usage. In fact, the factory polish can completely wear off if you play 6 to 12 games, depending on the surface of the bowling alley. 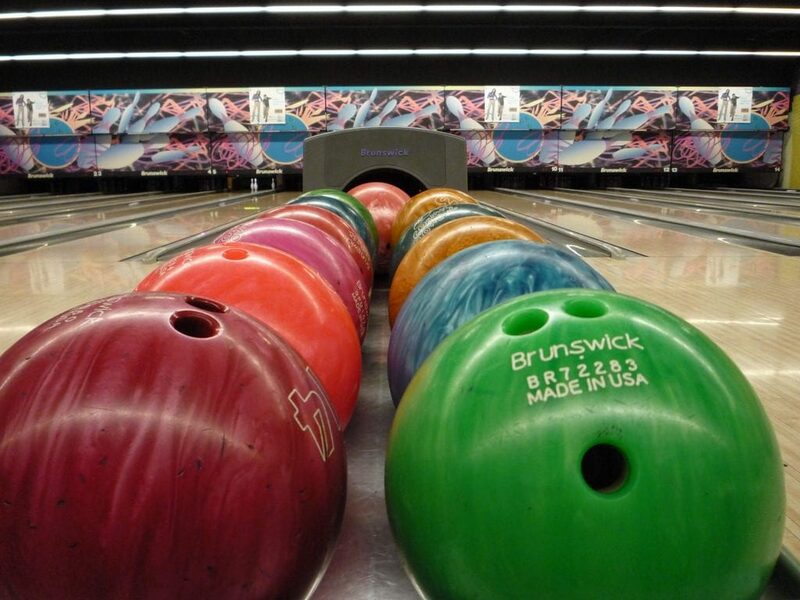 As a result, your bowling ball may begin to hook earlier and lesser in the backend of the lane. You will be able to hit the pocket with a lower entry angle and that will make it much harder for you to strike. You will end up leaving more corner pins which will effectively destroy your pro game. As the polish starts disappearing, you will see that the track area has become much duller. It will roll up early on the lane which means that you will lose significant ball reaction towards the back end. The ball will not skid down the lane smoothly making the ball’s hook less aggressive. If the ball skids through the front part of the lane, it will retain more energy for the final hook. If you polish your bowling ball regularly, you will be able to keep it looking new. Moreover, its reaction will be consistent and you will not be in for any undue surprises. When you polish your bowling ball, you are effectively reducing the skid and friction which the ball faces as it rolls down the lane. As a result, it conserves energy which can be later utilised when it hits the pins. You can polish your bowling balls with different kinds of compounds and ball polishes. Compounds usually have a moderate effect. When you use a ball polish containing a slip agent, it will give you the maximum length and least hook. You need to experiment in order to find the polish that works best for your ball. It’s your answer to what does a polishing ball do. You do not need to spend tons of money if you want to get a bowling ball. You can get bowling by buying a bowling ball that doesn’t cost much. All that you need to take a look at is how comfortable it will be in your hands. However, if you are wondering what is the most expensive bowling ball, you can read on. There are inexpensive bowling balls in the market which have the potential to deliver a great performance. But sometimes, you just want to spend that extra money and invest in a product that you can preserve and be proud of. Here, our list of the most expensive bowling balls in the world 2019. This high-performance ball is well worth your money because it can deliver excellent results. The simple appearance might be misleading, but you can expect great things once you start playing. The Code Red was created as an upgrade from the Code Black Bowling Ball. It uses the R2S Hybrid Reactive Coverstock that offers very high torque. Moreover, the RAD4 core enables the ball to be roll much faster than other balls. It is durable, strong and sturdy, which makes it a highly dependable option when it comes to bowling. The ball, however, does not come with any pre-drilled holes. You can customise and drill it according to your requirements. 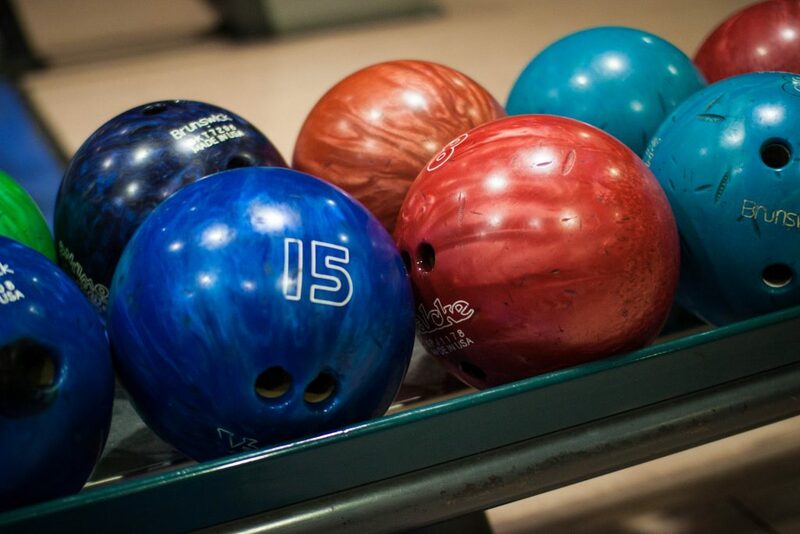 Being versatile, the ball is great for a variety of patterns in the bowling alley. This powerhouse bowling ball will help you conquer the alley. The perfect companion for competitions, it will give you an edge over other players. The Hammer Gauntlet combines the best features of its three predecessors, the Scandal, the Original Gauntlet and the Scandal Pearl. Since it is heavy, the ball will be able to tackle heavy medium patterns without going off route. If you love house patterns, then you can depend on this ball. With a strong coverstock, the ball is able to cut through lanes easily. It also has a carbon fibre infusion which makes it extremely tough. As a result, it can withstand the most rugged of conditions without sustaining any damage. The carbon fibre guarantees durability. So if you are looking for a ball that will last a fair amount of time, then this is the one for you. This ball is perfect for those players who are looking to specialise more on hooks. It will allow you to get the easy hook throws even in heavy oil lane conditions. With a Lit Asymmetric core, the ball offers unmatched performance. The Reflex XS coverstock is also a huge plus. The ball comes with a unique technology that is common to only Columbia Bowling Balls. The Hypershock Technology helps to lower the recoil when the ball finally hits the pins. As a result, the ball is able to deliver a smashing blow to the pins without losing any energy in between. The combination of the Hypershock Technology with the hook-creating feature makes this ball extremely efficient. As a bonus, it also looks extremely cool with the branded logo and the electric colour combination. Made especially for dry lanes, this bowling ball is a winner because of its slick built. You can also use it for light to medium oily lanes. It has a Low RG core which gives it a high flare potential. The coverstock of the ball is a 500 SiaAir with Crown Factory Compound and gives it a strong gliding power. 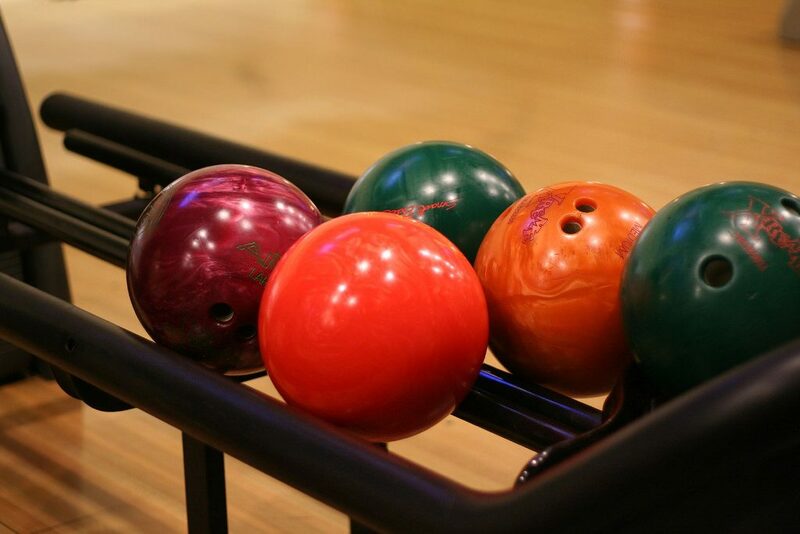 As a result, your ball will be able to move through the lanes smoothly and smash down the pins. With an Ultra Responsive feature, the ball can keep rolling at the same speed for a long time. Now that you know which expensive bowling balls to go for, why not save up the money and make the leap? However, it is important to remember that your skill level should be sufficiently high if you want to make the most of these bowling balls. Knowing just what is the most expensive bowling ball isn’t going to help by itself, after all. Who does not love bowling right? There is something so much fun about rolling that ball and perfecting your bowling skills. If you are an avid fan of bowling, then you should consider learning more about the game so that you can become a true expert. Knowing how much does a bowling ball cost is just a step in that direction. Bowling balls are an integral part of the game, but most of us actually do not know how much they are worth. You cannot perform any bowling action without a ball, so it will be good for you to know the price range in case you need to purchase on in the future. 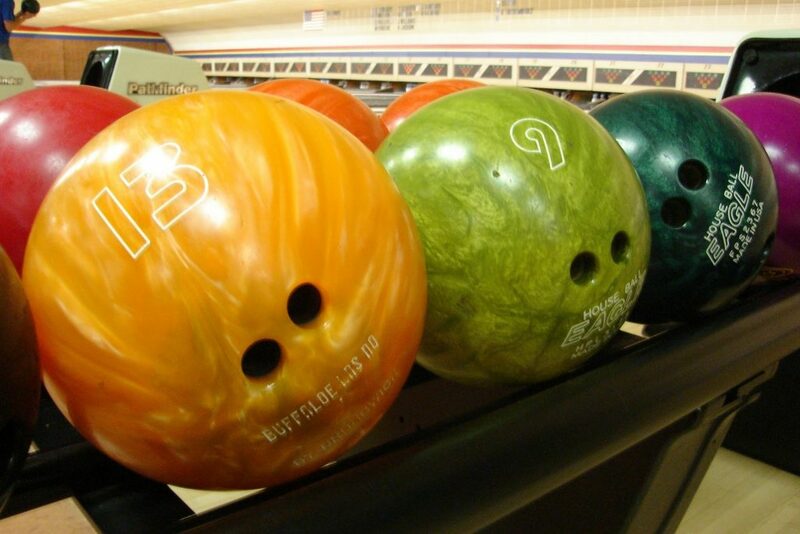 There are different kinds of bowling balls that players use. While some are more suited for beginners, others are perfect for experienced players who have been associated with the game for a long time. You need to select a bowling ball that will suit your purposes so you can get your money’s worth. They are all priced differently. The most affordable option is the classic plastic bowling ball. Made with polyester, they are commonly available in the market, and you can get your hands on them easily. On the downside, they do not come with a customized core which means that you will not get that additional hook. These balls are usually very lightweight and perfect for straight bowling. You will be able to hit those split pins as well. They cost between $40 and $60 each which is a steal. These are a variation of the normal plastic bowling balls, but overall more appealing because they are embossed with the logos of things that you might like. You can choose to use logos of your favourite teams or a picture of anything you love so that the ball has more value to you. You can expect the same performance from these balls as you would expect from the common plastic balls, but they tend to be a little more expensive nonetheless. You have to pay the extra money for the improved appearance. The price usually ranges between $75 and $150 for one bowling ball. These bowling balls are designed keeping in mind advanced players who want to take their game to the next level. They come with custom cores which will allow you to get a little more hook on your bowling balls. You can expect these bowling balls to come from reputed companies, and they usually have branded logos. As you play, you will find them offering a little more momentum. These bowling balls are perfect for those players who are planning to take their first step in the bigger leagues. You might have been a casual player all this while, but the urge to compete against the best is too overpowering. You can expect these balls to be the ideal companions $75- $150 apiece. As the name suggests, these bowling balls are meant for the advanced players who are looking to make an investment into their game. The better you become at bowling, the more advanced equipment you will need in order to stay ahead. These bowling balls are durable, and will not give up on you during important games. Made for professionals and intermediate players, they are on the expensive side of the spectrum. However, they are worth the price because they have custom cores which will help you improve your game by a mile. You can brand them with your favourite logos so that they look exactly how you want them to. You will have to shell out any amount between $150 and $250 in order to get your hands on these professional bowling balls. But once you buy one of these, you will not have to worry about a new purchase for a long time. Make sure that you buy it from a popular brand so that you can be sure of its quality. When you want to buy a bowling ball, you should take certain factors into consideration. Firstly, you need to fix a budget because the price range of bowling balls is vast. You might end up with an unnecessarily expensive ball which will not be of use to you simply because you did not set a budget. Secondly, you should evaluate your skill level so that you can figure out what kind of bowling ball would serve you the best. Lastly, you should also consider how often you bowl so that you can calculate the cost per use of the bowling balls you like. It’s your answer to how much does a bowling ball cost.